If you are into natural stones, then you probably know that Italy is home to the best quality natural stones. Italy is the capital of superior quality natural stones, so to speak. There is no mincing words here, even the great Michelangelo, an artists whose unparalleled influence on modern art is undeniable, relied on Italian stones.These Limestone Travertine Stairs are crafted from Italian Limestone. The stone originates from Tuscany, Italy. The world famous Colonnade of St. Peter’s Square was built using Travertine mined from this town. The stone is a great material, beautiful in its natural state and has been used for decorative purposes for many centuries. Travertine represents excellent value for your money. It is a stone with all the right properties, often sort in natural stone.The quality of the stone is in no doubt. The stone is pure, it does not need to be banded, unlike travertine from other places which require banding because they contain iron compounds and other impurities. Limestone Travertine was Michelangelo’s stone of choice for the bold external ribs of the dome of St. Peter’s Basilica. 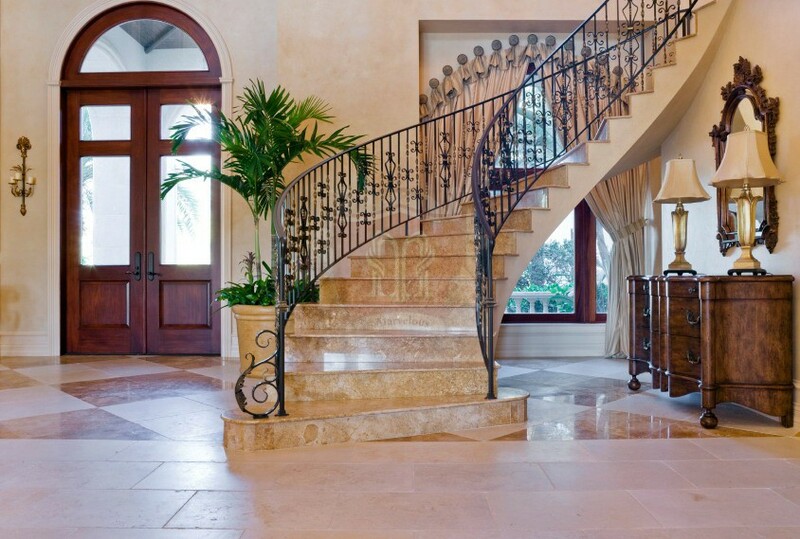 These Limestone Travertine Stairs are just as boldly designed. They are designed to create a focal point in the heart of your custom built home.The design is crafted on honed and filled Italian travertine. 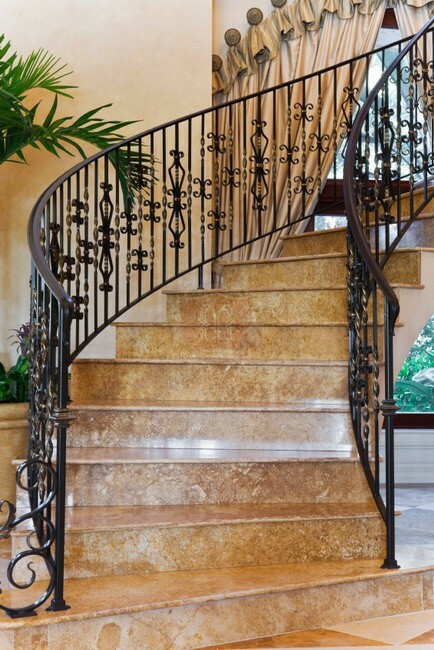 The stairs’ honed and filled finish makes the stairs smooth and enhances the natural stone’s appearance. Simply, pure class. 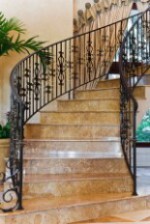 This is a purely classy product meant adorn and enhance the look and feel in your custom built home.The elegant finish on the stone also makes cleaning and maintaining the stairs easy. These beautifully Egyptian yellow colored stairs are characterized by sparkling grains which reflect light in a unique way. The reflective nature of the stone’s sparkling grains makes up for a more cozy space.These Limestone Travertine Stairs are beautifully designed and are customizable. They can suitably be personalized just for your custom built home in Toronto, New York, California or New Jersey. Whether you want the stairs in a different natural Travertine tone or in a totally different natural stone, just place your request with us. 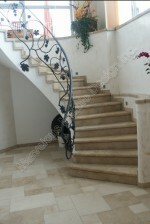 For a more textured surface you can have the stairs in unfilled Italian limestone travertine. 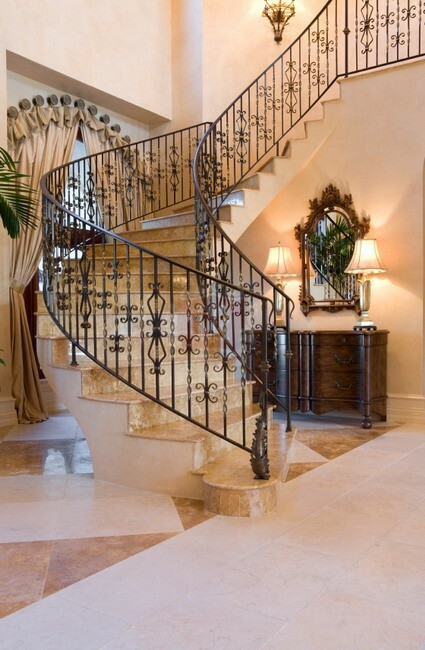 For more information about these Italian Limestone Travertine Stairs, please call us at 1-888-272-0630.